Rashes are a common inflammatory skin reaction that can be the result of factors ranging from allergens to immune system disorders. Because it can be hard for the untrained eye to distinguish the red, scaly patches of eczema from a psoriasis rash, it’s important to have any bothersome or long-term rash checked out by a board-certified dermatologist. 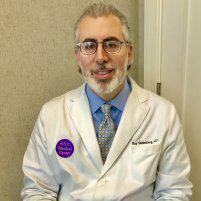 Roy Stern Seidenberg, MD in Manhattan, New York City, provides comprehensive care for patients with all types of rashes, including eczema. Call or book your appointment online today. Some rashes clear up on their own in just a few days; others require medical treatment. Although most rashes are nothing to worry about, others may be symptomatic of a serious health concern. Eczema, or atopic dermatitis, is a common cause of persistent rashes. Eczema rashes can be extremely itchy. Many patients scratch their skin until it breaks, leaving it prone to infection. Symptoms also tend to worsen at night, sometimes becoming so intense that they disrupt sleep. Although it is possible for people to develop the condition later in life, most cases of eczema first appear during childhood: Approximately 90% of people who have eczema developed the condition before their fifth birthday. Infants with eczema often get dry, red, scaly patches on their cheeks, forehead, and scalp. Children who develop the condition after the age of two are more likely to have rashes in the creases of their elbows or knees, or along their neck, wrists, or ankles. Though it’s a long-term disorder, only about half of the people who develop childhood eczema will continue to have symptoms as adults. In adulthood, eczema tends to cover larger areas of skin and can be especially severe on the neck, face, and around the eyes. What other conditions can cause rashes? A wide range of factors can contribute to the development of rashes, including inflammatory conditions like intertrigo and lichen planus, or having an adverse reaction to medication. This occurs when something, such as poison ivy or latex, touches your skin and causes an allergic reaction in the form of a rash. This form of contact dermatitis is caused by coming in contact with something that irritates your skin, such as a harsh chemical or bleach. Because there are many potential underlying causes, it’s important to have a dermatologist diagnose your rash so you can receive the correct treatment. Many rashes can be treated through self-care measures combined with the use of topical corticosteroid creams designed to reduce swelling and redness. If your condition is caused by a bacterial skin infection, however, you may also need antibiotics. If you have eczema, you’ll need to learn effective management strategies to minimize flare-ups. Seek immediate medical care if you have a rash that covers your entire body, comes on suddenly and spreads rapidly, begins to blister, is painful or infected, or is accompanied by a fever.